Although there are few good months until the Geneva Motor Show, Dacia decided to surprise the fans with an absolute world premiere. 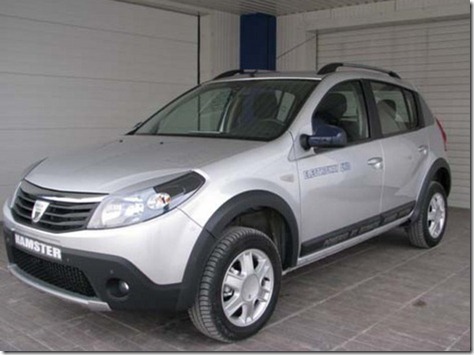 The Romanian car manufacturer presented in Paris at a conference held in Renault Square Communication, details about the newest member in the Dacia family. 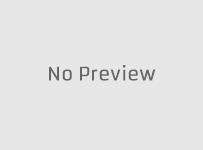 It’s the long-awaited SUV, which the international press waited since the middle of the summer. The first pictures offered for the public present an extreme version of the Romanian model, ready for competition. The competition version of Dacia Duster, anticipates the release of the series model, which will launched in the spring at the Geneva Motor Show. The Dacia Duster presented in Paris will participate in the famous competition Trophee Andros known for the difficulty of the routs performed on mountain roads covered with snow. 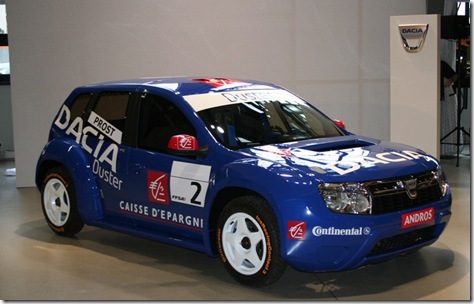 The surprise prepared by Dacia is that the famous french driver Alain Prost will drive the Duster in the Trophee Andros. The version driven by Prost will be equipped with an V6 engine capable to develop over 300 horsepower. 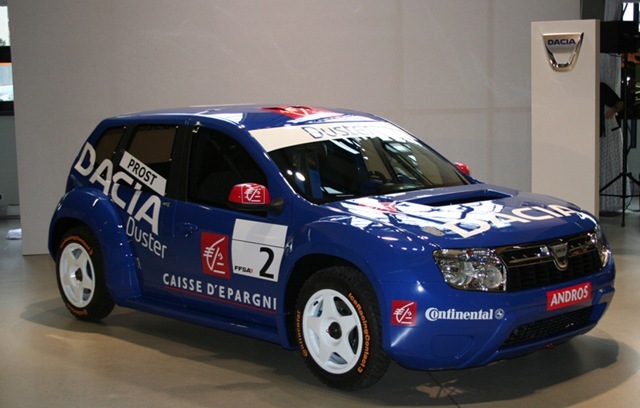 The Duster presented in Paris was prepared by Renault Sport Technologies. 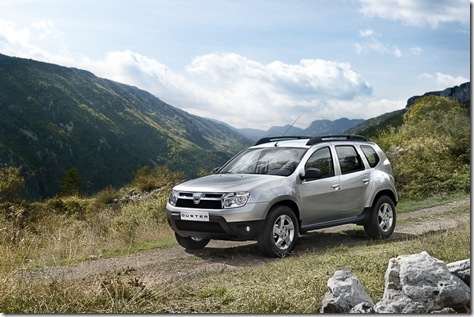 The series version of Dacia Duster will have a tubular chassis which houses a three liter engine with 24 valve from the Renault-Nissan range.